Following her 2008 academic text investigating the nature of relationships between black women and white men, Cheryl Y. Judice has authored a book on a similar topic titled Interracial Relationships Between Black Women and White Men. In her new book, Judice explores the stories of African American women married to, divorced from or dating white men. She conducts sixty interviews and presents her conclusions with an aim to encourage more black women to broaden their marriage and dating scope as a result of the continuous growing numerical gap between black men and black women. Every story is unique and captivating. Some contain surprising features that defy common notions. Apart from individual differences, most of the accounts display a lot of thought-provoking similarities. For a topic as sensitive as this, Cheryl Y. Judice does a great job of only providing objective findings obtained through careful research. The accounts are openly presented and the interviewees’ opinions are captured overtly in the book. The author’s voice is barely felt, except when it was quite necessary, and this helped me make my own judgment without feeling any coercion to think along a certain line. The stories also cover a wide spectrum of topics which gave me an extensive picture of what encompasses relationships of this nature. Most importantly, Interracial Relationships Between Black Women and White Men addresses an important aspect of society and provides a solution to an ever worsening situation. The importance of the topic cannot be over-emphasized. Cheryl Y. Judice’s study is not only eye-opening, but also helps shape new important perceptions. 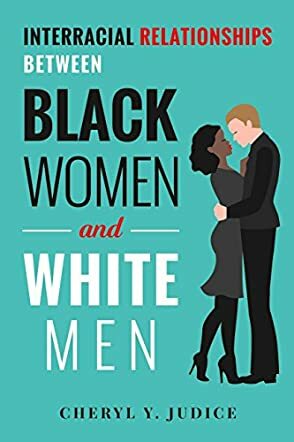 This book tackles an issue that has been taboo in US society - The relationship between educated, professional black women and their counterparts professional white men. History and society have doomed this union. In previous generations, the alpha male and omega female have been unequal. This book continues the chain of history by relating stories from another perspective, that of current participants. Education and the evolving society have creating space for the egalitarian relationship between the black woman and the white man. Progress is measured by the story teller who shares his/her experience. Cheryl Judice is a gifted writer who provides an opportunity for these stories to be told.